These nuclear disasters are also part of a larger historical series of toxic events dating back to the birth of the industrial age. Prof. Koide himself notes the parallels of his own work with the Japanese anti-pollution activist Tanaka Shōzō’s (1841-1913) fight against the pollution of the Watarase and Tone rivers north of Tokyo by the Ashio Copper Mine in the 1890s. Fukushima must be seen in the context of these other toxic events, one in a series which, though the particular pollutant may have been different, all share a family resemblance: each names a particular site of industrial capitalist production that results in the contamination of a space that in turn requires the sacrifice of that region for future use and the loss of the means of life by any who live in the area. The list of these national sacrifice zones is long and growing: Ashio, Minamata, Grassy Narrows, Ontario, Hinkley, California, the Gulf of Mexico Hypoxic Zone, Bikini Atoll, the « downwind » sections of the Great Basin of eastern California, Nevada, and western Utah,4 Hanford, Washington and Ozersk, Kazakhstan,5 Chernobyl. The list now includes a region some 20km around Fukushima dai-ichi. Tanaka Shōzō glimpsed the logic of the national sacrifice zone in 1902 when he fought against the Japanese state’s seizing of the village of Yanaka and displacing its residents in order to build a flood control reservoir. For Tanaka, this enormous re-making of the Watarase and Tone rivers signaled no less than converting an entire watershed that had served as a centuries-long source of production and sustenance into a sink of contaminants: « If [the pollution] continues too long, the river’s headwaters will trickle out from a poisoned mountain of foul rocks and polluted soil that wholly penetrates the water, forming a second [toxic] nature (dai ni no tensei o nashi); once this happens there will be no saving anyone. »6 This event was the turning point in Japan’s environmental history, one that was repeated across the globe in the 19-20th centuries. The insatiable drive for more powerful energy sources to fuel more economic growth is everywhere hitting barriers, creating more and more national sacrifice zones on larger and larger scales. 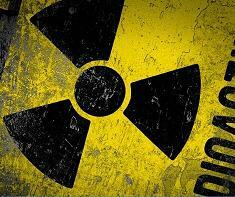 Though radiation contamination does not have a technical fix, it may have a political one. As Prof. Koide says, Germany has done just this: declared an end to nuclear power.14 This is the necessarily political decision that can then be the basis of a new energy regime. This is not easy, but it is possible. The encouraging grassroots politicization of « electricity conservation » (setsuden) of recent years has shown the feasibility of just such a new energy regime in Japan, one without nuclear power or increased imports of polluting coal and oil. But this trend is countered by others. In the face of strong anti-nuclear protests, the Abe government has already restarted reactors in Kyushu, and just as Prof. Koide feared in his discussion of the 2014 LDP election, the government has plans to restart the others moving towards a Japanese energy regime hardly changed from before the Fukushima disaster. Prof. Koide’s career was not able to prevent the disaster. But his message still points the way to a better future. With the popular mood turned into a political movement-a movement that the 2014 election shows is not yet currently on the horizon-a less toxic, more democratic society is surely possible. More, it is necessary. 1Charles Perrow, Normal Accidents: Living With High-Risk Technologies (Princeton University Press, 1999); Paul Virilio, « The Primal Accident, » in The Politics of Everyday Fear, ed. Brian Massumi (Minneapolis: University of Minnesota Press, 1993). 7Jason W. Moore, « Cheap Food and Bad Climate: From Surplus Value to Negative Value in the Capitalist World Ecology, » Critical Historical Studies Spring (2015), 18-19. 10The alien origin of the « black oil » of the X-Files speaks to this cosmic horror while also linking it to fossil fuel consumption. See for example Justin McBrien, « Accumulating Extinction: Planetary Catastrophism in the Necrocene » in Jason W. Moore, ed., Anthropocene or Capitalocene: Nature, History, and the Crisis of Capitalism (Oakland: PM Press, forthcoming). 11Susan Sontag, « The Imagination of Disaster, » Commentary October (1965). 13Hirotaka Kasai: « Kasai: So…about the airborne radiation dosage and the soil contamination, there is a public entity that measures and publishes the airborne levels. But the soil contamination is not measured. I remember reading about Chernobyl that the soil contamination levels are the standard by which one gets the right to evacuation and refuge. But Japan only measures the air. » Unpublished interview with Koide Hiroaki, December 2014. See also, Tessa Morris-Suzuki, « Touching the Grass: Science, Uncertainty and Everyday Life from Chernobyl to Fukushima » in Science, Technology, & Society 19:3 (2014): 331-362. 14Koide: « Take Germany for example. There both the government and industry decided to eliminate nuclear power. When it came to the question of what happens to all the people in that industry the answer led to entirely new jobs being born. In short, if the decision is made to eliminate nuclear power, and the entire society works towards that goal, then I think it can be done – even though people hooked on the drug will truly believe that they will die without it. So the job is to show them that is not the case, that we can build an alternative one piece at a time. Then again, that’s really my responsibility isn’t it? » (Laughs). Unpublished interview December 2014.